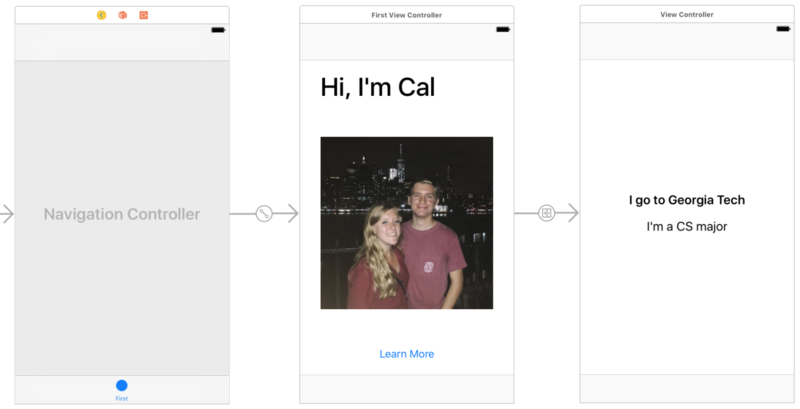 Let’s add another View Controller to the canvas. You can drag one in from the View Pallete. 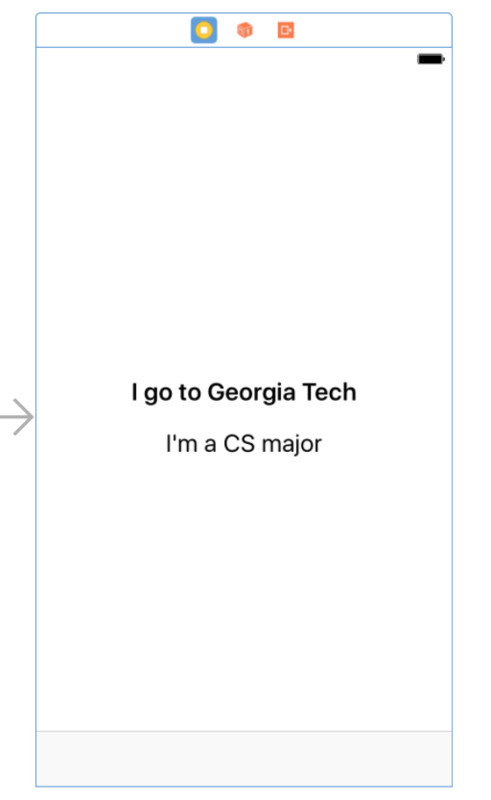 For this screen, we want to add two fun facts about yourself, which will need two separate labels. They would look best as a group centered in middle of the screen. The easiest way to do this is by creating a set of nested views. 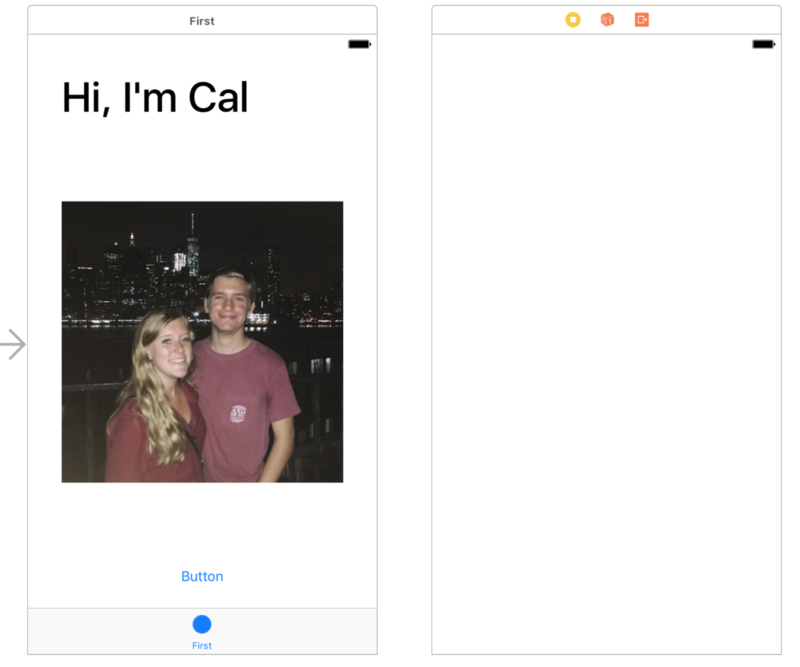 If we put the two labels inside of a container view, we can center that view in the screen. 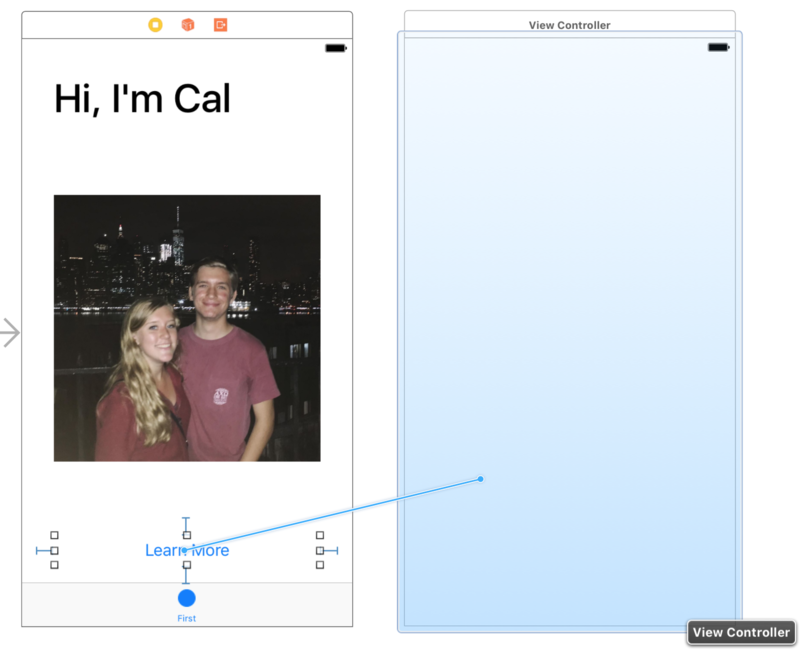 Add a View to the canvas, and add two labels inside it. 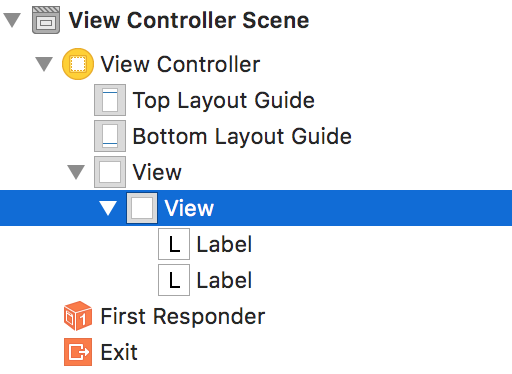 Check the view hierarchy to make sure the labels are actually inside the view. 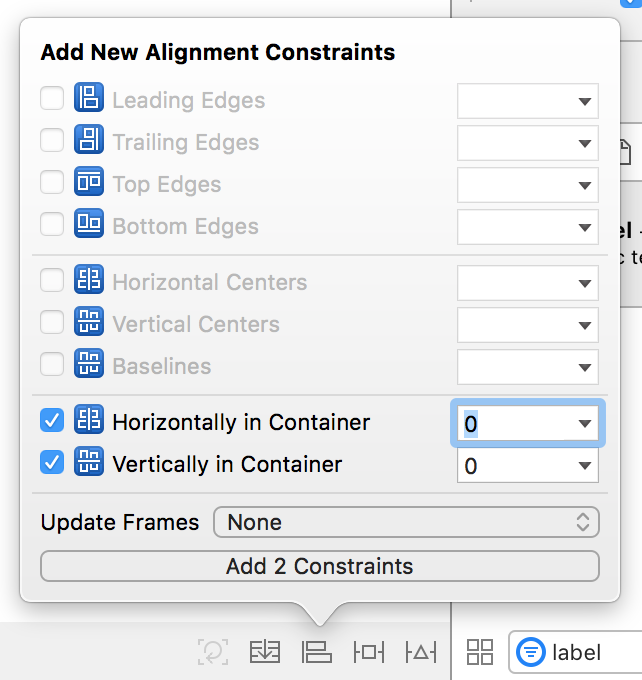 Right now, your container should have red lines around it. 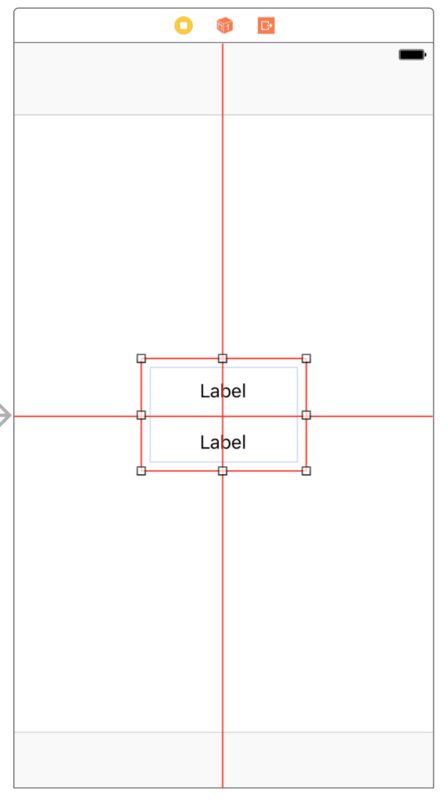 Now, whenever the labels change in size, the parent container view should change in size as well. 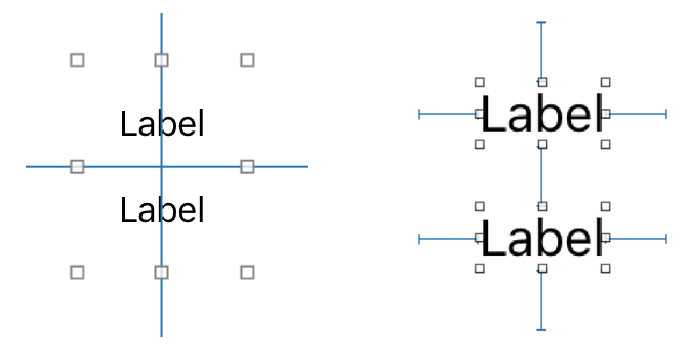 That’s because the spacing constraints of the labels push out on the width and height of the parent container. Therefore the parent container knows its x, y, width, and height constraints and all the constraints are satisfied. 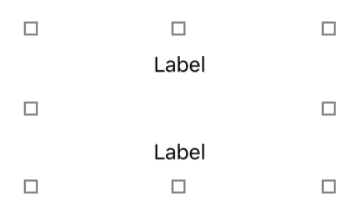 With the labels constrained, we’re ready to customize them. Now’s a good time to whip out your back-pocket fun facts. 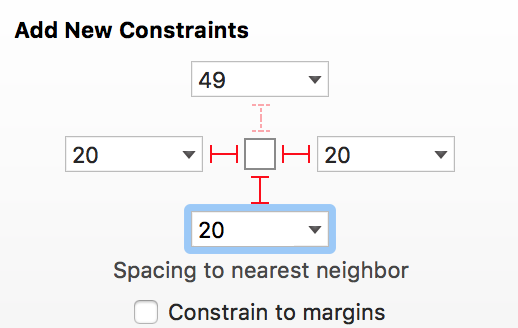 As usual, select the labels and visit the Attributes Inspector. Customize them however much you like. As you update the labels, they should update automatically and grow as needed. Most apps solve this by using a Navigation Bar. When a new screen pushes onto the navigation stack, there’s a Back button in the top left. 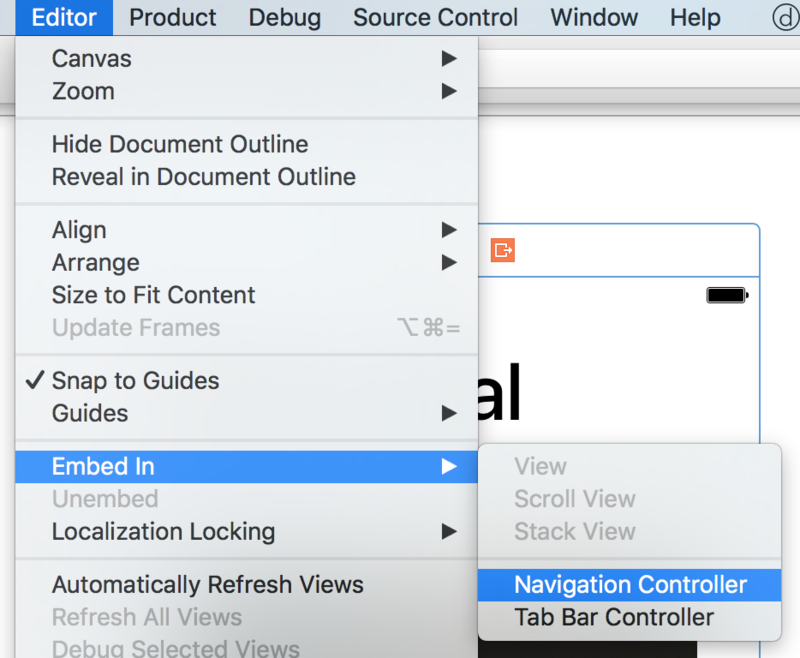 An app’s Navigation Bar is managed by a Navigation View Controller. 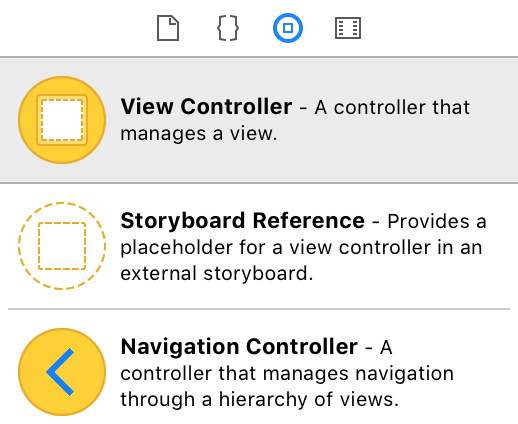 It’s a special kind of View Controller that other content is embedded in. 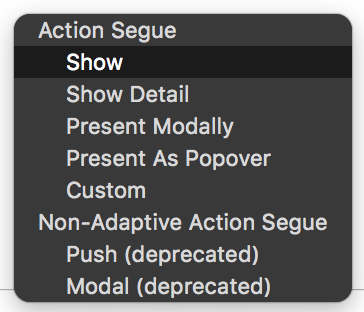 In the menu bar, click Editor > Embed In > Navigation Controller. If you run the app in the simulator again, you should see everything is working great! In Part 5, we’ll start working on the app’s other tab.